Boise, Radiothon is ramping up and it’s time to put your money where your mouthpiece is. Radio Boise has only been rocking our local airwaves since April 2011, yet it’s already hard to imagine our community without it. Maybe that’s because those of us who were raised without a true community station in Boise dreamt so intensely of the day it would come, that really it’s been with us all along. Or, maybe it’s because in the few short years of its terrestrial broadcasting life, that the station has become an integral part of our community that we could no more imagine Boise without, than we could imagine not being the capital city of Idaho. Whether you tune in for the musical styling’s of Wendy Fox’s Tennis Court Disco or John McCarthy’s Jazz: Beyond the Sky, or for news and community interest programs such as Pacifica Network News’ Democracy Now! or Lindsay Schramm’s Talk Dirt to Me; Radio Boise’s eclectic, volunteer driven programming has something for everyone. 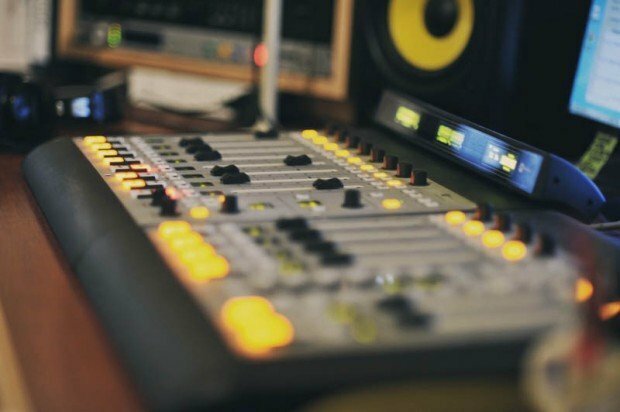 That’s because it is produced by everyone – from vetted pros in Boise’s thriving music scene to local professionals, KRBX is a community station in the truest sense of the term. Day in and day out, Radio Boise proves that it takes a community to build a station. By in large the daily operations are volunteer driven, resulting in programming that is both vibrant and authentically Boise. But, as with any grass-roots community resource, funding is an essential component to the station’s success. Cue Radiothon; KRBX’s answer to the fund-drive. Twice a year, volunteer DJs take to the airwaves in an effort to part you with your hard-earned cash so that the station can continue its perpetual goal of “connecting all the great things happening in this community to the people who live here.” This means funding not only the daily operations of the station (hello, Idaho Power bill! ), but also the capital improvements the station needs to thrive, such as the recent addition of the downtown translator at 93.5 FM and the upgrade of the studio facilities for live, on-air performances. Fall Radiothon is set to run October 16–24 with an anticipated goal of $50k coming from 1,000 new and returning members. This goal is $5k and 250 members higher than the Spring Radiothon goal and Station Manager Jeff Abrams is optimistic that the Boise community will rise to the occasion. And really Boise, why wouldn’t we? With all Radio Boise has to offer our community; from the eclectic mix of local, indie and alternative music, to the community interest and news programming, KRBX truly is a microphone for our community and all it has to offer. If you are interested in learning more about Radio Boise, tune into 89.9 or 93.5 FM (depending on where you listen, one frequency will be stronger than the other), or listen on the web at www.radioboise.org. The website also offers all the info you could hope to find on the station, including programming schedules, volunteer applications, Radiothon info and more.